85 Commercial Real Estate & Properties in Caboolture are listed in 7 categories. We have 34 Development LandsSale , 31 Industrial Warehouses Sale , 19 OfficesSale , 7 Other Commercial PropertiesSale , 3 Retail ShopsSale and 2 Medical and Consulting PropertiesSale . Ray White Commercial Northern Corridor Group are pleased to offer the opportunity to purchase Unit 2, 31 Cessna Drive Caboolture. This property is located in the heart of Caboolture's highly sought after Corporate Park Industrial Estate. The open plan warehouse is only a short 5 minute drive to The Bruce Highway providing ideal access. Features of this property include: 350m2 open plan warehouse Comprising of: 50m2 office, 50m2 mezzanine storage 250m2 Warehouse Freshly painted Container height roller door access On site car parking Signage opportunity 3 Phase power supply Spray booth with extraction fan Kitchenette Internal toilets Fully fenced and secure complex For further information or to arrange an inspection please contact the EXCLUSIVE agents Aaron Canavan or Chris Massie. 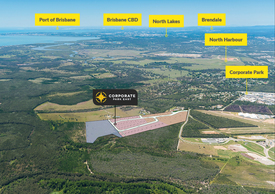 16ha General Industry Land Adjoining Proposed Elimbah East Masterplan EOI Closing 28 February 2..
Ray White Commercial Northern Corridor Group have pleasure in offering for Sale the property located at 145 223 Old Toorbul Point Road, Caboolture 4510. With immediate access to the Bruce Highway and strategic location in one of the fastest growth corridors in the country, this development offering represents one of the more significant tracts of land yet to be secured in the region. The 16ha parcel adjoining proposed Elimbah East Masterplan currently forms part of a 63.94ha title that will be subdivided upon acceptance of terms. KEY PROPERTY FEATURES INCLUDE: bull; 16ha freehold General Industry land (exact size subject to subdivision process) bull; Located in one of Australia's fastest growth corridors bull; Immediate highway access bull; Flood free land clear of remanent vegetation bull; Part of "Elimbah East Employment Area" bull; Adjoining proposed masterplanned development The property will be sold via Expression of Interest closing February 28th, 2019. Corporate Park East now offers one of the only opportunities in North Brisbane to secure a standalone industrial facility on quarter acre lot. This functionally designed building provides all the operational flexibility of a freehold property, all with a sub million dollar price tag! The multi roller doors and secure on site exclusive area parking removes the headaches of traditional common area strata complexes. Functionality has been at the forefront of planning for this development, and with incentives available for early purchasers, we believe this warehouse represents an unmatched solution for the right business Features: 1,000m2 fully serviced freehold General Industry lot bull; 504m2 clear span tilt panel warehouse bull; Provision for up to 96m2 of air conditioned mezzanine office bull; Internal amenities bull; 10 secure car parks bull; 2 x container height roller doors for functional work flow bull; Rear roller doors for cross ventilation bull; Covered loading area bull; Security fencing for external storage bull; Landscaping bull; 3 phase power For further information please contact Chris Massie or Ashley Rees. Freestanding Medical Practice On Busy Main Road Contact Exclusive Agent f.. Unique Office Opportunity In Busy Industrial Estate Contact Agent Today! 260 m2 air conditioned office space Professional glass frontage Reception/waiting area 4 x private offices Large board room Large first floor open plan work space Kitchen and meals room Phone data provisions Toilet amenities Concreted line marked complex parking Unique office opportunity located in the sought after Corporate Park Industrial Estate within 5 minutes to Caboolture CBD rail, ease of access to Bruce Highway (north south bound) and 45 minutes to Brisbane CBD Sunshine Coast Call The Commercial Guys today to book your inspection or for further information. Unless otherwise stated, the price/property may be subject to GST. Ray White Commercial Northern Corridor Group is pleased to offer 2/77 79 Pasturage Road, Caboolture for Sale as a tenanted investment. This state of the art food production facility boast a new 6.5 year lease to a company supplying some of the major supermarkets across Australia. Significant investment from both tenants and owners makes this one of the premier food production facilities in the region and provides flexibility for future tenant expansion and upgrades. The modern tilt panel building is located only 1 kilometre from the Bruce Highway in the tightly held Corporate Park Industrial Estate. FEATURES: 1,654m2 commercial kitchen facility $189,500 Net Income New 6.5 year Lease 6.5 metre clear span tilt panel construction 110m2 office space over two levels Full electric container height roller doors 3 phase power Ample car parking on site Provision for 5 tonne overhead gantry crane Extensive power and plumbing upgrades For further information or to arrange an inspection, please contact Ashley Rees or Chris Massie. Ray White Commercial North Coast Central is pleased to offer 8 Lee Street, Caboolture for lease. Fully refurbished and leased freehold commercial property with three tenancies currently. Recent works include new air conditioning, toilets, painting, landscaping, signage, security and floor coverings. 285m2 of building on 762m2 $56,402.24 net annual income Ground floor commercial/retail space with full disabled access Fully refurbished including air conditioning, glass, toilets, painting, landscaping, signage, security and floor coverings Flexible layout allows for up to 6 individual tenancies Generous 1:20m2 car parking ratio Security fenced with remote electric gate access Internal and external security alarm system Top of the range security screen/doors and sensor lighting throughout Separately metered for electricity Located directly opposite Caboolture State High School and walk or short drive to rail, hospitals, QUT/TAFE campus, hospital, schools, shops and Bruce Highway. For further information or to arrange an inspection please contact Chris Massie. Ray White Commercial North Coast Central is pleased to offer 13/23 25 Skyreach Street, Caboolture for sale as a tenanted investment. This tenanted investment has just secured a new tenant on a 3 year lease. The internationally based IT company works locally with major telecommunications providers facilitating services across Bribie Island and the greater Moreton Bay region. The fully net lease returns $24,780 per annum, with the tenant paying all outgoings. The modern tilt panel complex of 27 units with two street frontage boasts zero vacancies. This is a reflection of its supreme functionality and speaks to the likelihood of long term tenant security. bull; 165m2 Industrial unit comprising of: 70m2 Warehouse 95m2 Office bull; Currently leased until 01/07/2021 with 3year option bull; Net Income $24,780.00 Per Annum bull; Air conditioned office space bull; Container height roller door access bull; Front unit offering high exposure to all passing traffic bull; Quick easy access to Bruce Highway Caboolture CBD For more information please contact Aaron Canavan or Chris Massie. Ray White Commercial North Coast Central is pleased to offer 4/7 9 Industry Drive, Caboolture for Sale. Ideally located just minutes to the Bruce Highway and D'Aguilar Highway with features including: bull; 180m2 Industrial Unit bull; Three Year Lease ending August 2020 bull; $18,540 annual net income bull; Tenant pays 100% of Outgoings bull; Located within a secure complex bull; Double roller door access bull; Mezzanine Office with air conditioning bull; Internal amenities bull; Ample on site car parking Contact exclusive agent Chris Massie for further information or to arrange an inspection. 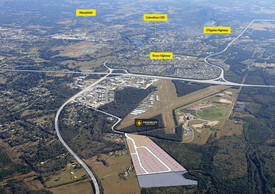 You can now secure fully serviced General Industry land lots in Caboolture's first estate release for over ten years. Perfectly suited to transport, warehousing and general industry users who require large, affordable premises. Lots start from 1,000m2 with the following key features: bull; Immediate access to Bruce Highway D'Aguilar Highway bull; 24 hour General Industry use bull; Flexible lot sizes from 1,000m2 to 10HA bull; Suit developers or owner occupiers bull; Design Construct options available for lease or sale bull; B Double access With construction commencing in October and lots available by March 2019, stage 1 is not expected to last. Call today to discuss how we can accommodate your perfect building. Ray White Commercial North Coast Central is pleased to offer 8/77 79 King Street Caboolture for Sale. Features: 85m2 Professional Office Two Separate Office Spaces Kitchenette Facilties Reception and Waiting Area High Exposure to Passing Traffic and Pedestrians on Busy King Street Located Opposite Caboolture Park Shopping Centre On Site Parking at Rear of Building Walking Distance to Public Transport, Court House, Council Chambers and Centrelink For further information or to book an inspection please contact agents Aaron Canavan or Chris Massie. 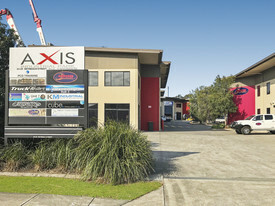 Ray White Commercial North Coast Central is pleased to offer 8 Annie Street, Caboolture for Sale. Features: 817m2 land in Caboolture CBD Zoned Caboolture Centre Located within walking distance to Medical Super Clinic, Schools, Public Transport, Shopping Centre Government Agencies High volume of foot vehicle traffic For more information please contact Chris Massie 0412 490 840. New 3 x 3 year lease commencing 01/07/18 Leased to Flooring Company $10,480 net per annum 3% annual increases with market review at option 100m2 warehouse Toilet and shower amenities 3 phase power Air conditioned office Internally renovated in 2017 Call The Exclusive Commercial Guys today to book your inspection or for further information. Unless otherwise stated, the price/property may be subject to GST. Ray White Commercial North Coast Central is pleased to offer Unit 3, 19 Lear Jet Drive, Caboolture for Sale as a tenanted investment. bull; 217m2 Warehouse with approved 87m2 Mezzanine bull; Projected Net Income of $21,414.92 Per Annum bull; Leased until 30/06/2023 bull; Electric Roller Door Access bull; 2x Air Conditioned Office Spaces bull; Kitchen Facilities bull; Internal Amenities bull; On Site Parking bull; Excellent Signage Provisions to Lear Jet Drive bull; Easy Access to Bruce Highway Dont miss out on this opportunity! Contact agents Chris Massie or Blake Primrose for further information or to book an inspection. Recently refurbished site Ground floor commercial retail space with fully disabled access 285m2 building on 762m2 land $57,648 per annum nett income 3 Tenancies on long term leases Refurbishments including air conditioning, glass, toilets, painting, landscaping, signage, security floor coverings Call The Commercial Guys today to book your inspection or for further information. Unless otherwise stated, the price/property may be subject to GST.